ECC’s Pallet & Case products offer the customer both choice of product and flexibility of service. 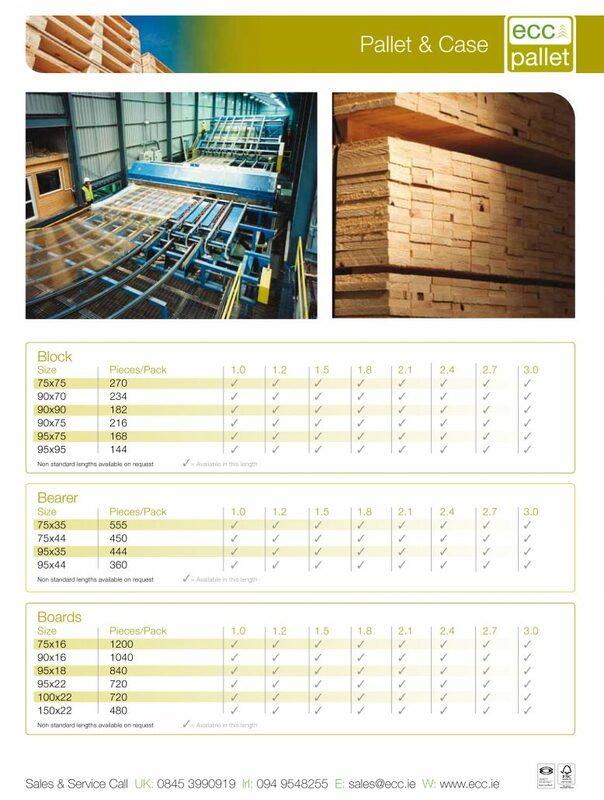 We supply all pallet orders in mixed loads and can offer “Just in Time” delivery on most of our ranges, due to our large stock holding facilities. 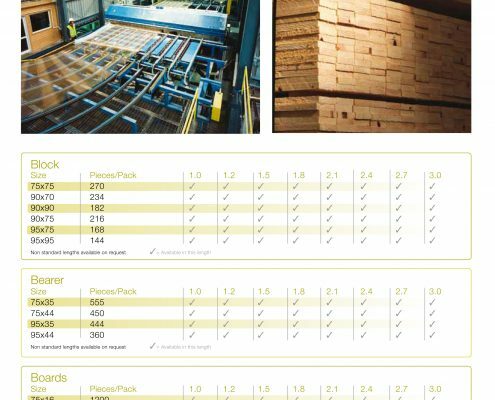 With over 20 years experience supplying the pallet and packaging industry we recognise the need for flexibility in relation to sizes and product specification, to satisfy this we offer non-standard lengths and sizes on request. Our 60 bin dropsorter facilitates this service with 2 high speed CNC automatic cross cuts finishing to within 2mm tolerances. ECC is a certified member of the ISPM 15 scheme, which is an International Standard, set up to reduce the risk of the introduction and/or spread of quarantine pests associated with wood packaging material made from coniferous wood. This is achieved by heating the core of bark free wood to 56° for 30 minutes (DBHT 56/30). Our company reg number for ISPM15 is IE-041. With 14 on-site drying kilns, achieving a weekly drying capacity of over 3,500m3. Heated using a 5MW wood residue boiler which supplies a clean, renewable source of energy for our kiln drying process, all timbers undergo a stringent drying process to ensure all boards are dried to under 20% moisture. Each cycle takes between 5 to 7 days.